Hot spot (or hotspot) is a physical location where people may get Internet access, using Wi-Fi technology, through a wireless local area network (WLAN) using a router connected to an internet service provider. For example, a business traveler with a laptop equipped for Wi-Fi can look up a local hot spot, contact it, and get connected. public places, such as airports, hotels, and coffee shops provide free wireless access for customers. Mobile data has become relatively cheaper over the years and around the world. But, it does not measure up to the fast speeds that Wi-Fi provides. 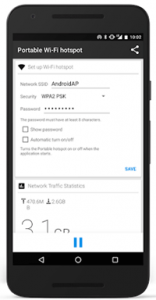 Nowadays, people carry many devices such as laptops, tablets, and others that would need a Wi-Fi hotspot app for Android device to share internet to others. 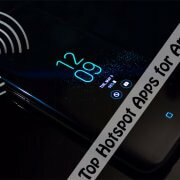 most smartphones come with a hotspot feature. Though, the feature has some limits that may not meet the standards and needs of the user. Fortunately, developers have come with hotspot applications that are resourceful to users. Below are the top 5 free hotspots App you can use on your Android phone. With hotspot, you can easily share internet with your friends. Is an inbuilt hotspot feature of the mobile phone. It credits itself on improving the mobile computing experience of the user. Before you can use this application, you would need to configure it before running the application. The application enables the user to protect from others who may want to feed on the user’s data. It is done by securing the Wi-Fi network as it acts as a portable hotspot. PdaNetPC stands for PdaNet Personal Computer. Is the best-rated hotspot applications because it allows the user to share their Internet with laptops or tablets without needing rooting. Although, the user needed to either install the client application or set up a proxy. But it will depend on the device being connected to the phone. PdaNet has recently come up with a new feature, “Wi-Fi Direct Hotspot”. It means that it can work for users with Android phones with versions 4.1 or later. it one of the best top free hotspot applications for Android, because it has an easy to use interface and is frequently updated. The application helps the user automatically, connect and end Wi-Fi connection, and to manage the battery more efficiently. It allows the user to share their internet connection with other devices. It is very simple to use. It does not operate on many Android phones On the flip side and it does not work well after updates. 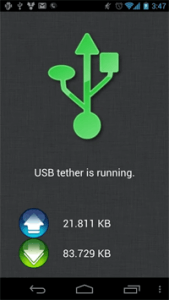 User can tether their phone without rooting. User can also sign up for a tethering plan. The application awards itself for being compatible with Windows, phones, tablets and other devices. It works with various devices. 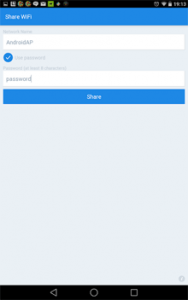 This application gives the user the freedom to share the network with those that want it by entering a key, thus making it secure. The developers made it easy for the user to set a password on it. Furthermore, it has an interface that is greatly intuitive. Internet has grown over the years, it is difficult to imagine life without it. It is paramount, to make hotspot applications affordable and easy, and ultimately improving their performance. 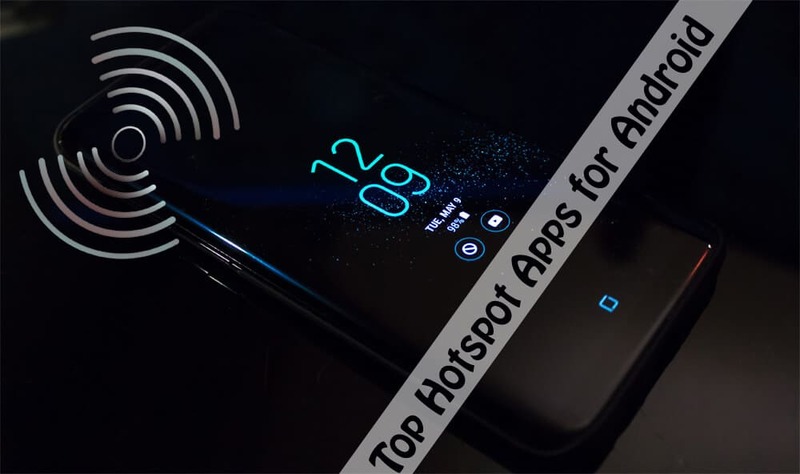 This top 5 free hotspot app for Android can turn your Android phone into a Wi-Fi hotspot and allows you to share your internet connection with other devices and users directly. Just pick one of your choices and give it a try.